Adds a collection of interiors to expand on Grayditch. Bethesda Softworks - making the game, duh! 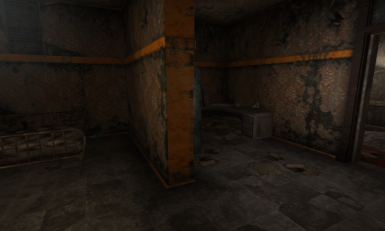 This mod adds a number of interiors to the town of Grayditch. It includes a new vendor, a tiny miniquest, and quite a few stories to uncover. 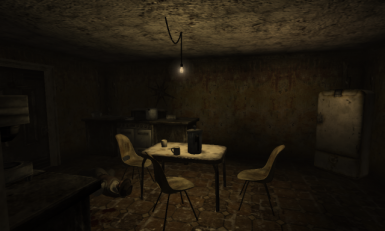 I made this during some free time when making my New Vegas quest mod, Kashmir (currently in development hell D:). 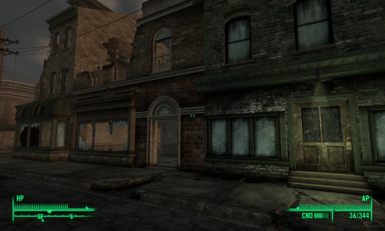 It always saddens me when towns are underutilized in Fallout 3 and New Vegas. Even when DC/NV interiors is installed, there are many buildings sitting with boards on their doors, waiting to be unearthed. 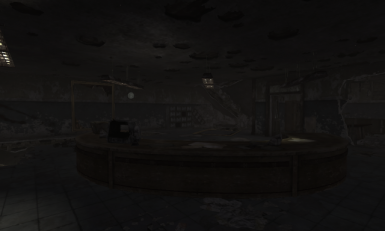 I hope this mod helps accomplish a more open Capital Wasteland. If you notice any bugs or other errors, please don't hesitate to tell me about it in the comments. Thank you for reading, I hope you download, and have a nice day!